This little sweetie pie was found as a stray on the city streets, and was turned in to a local shelter by some kind person. She had no tags or microchip, and no one claimed her. The doggie is a senior (the vet thinks about ten years old), almost entirely blind from cataracts, and was very dirty and smelly when found, but she was well-behaved with the shelter staff, loved treats, and seemed to have a very sweet and loving disposition. The staff knew she might be hard to place because of her age and disability, so they featured her on a local cable TV pet adoption show and on their website, in an effort to find her a home before her time ran out. I am the lucky human who saw her picture and description online. I was hoping to adopt an older dog, and she was just the right match! I went to the shelter and adopted her that very day under their wonderful "Seniors for Seniors" program. And what a lovely dog she is! From the first, she has been very well-behaved. She is a smarty-pants, and she will cuddle all day if I don't suggest she take a break for food or potty. Despite her very limited vision, she has adapted beautifully to her new home and yard. She loves people, treats, her neon green "monster" toy, trips to the off-leash dog park, and on-leash walks anywhere her human takes her. She has been with me only five weeks, but already I can't remember what life was like before Casey came home. It seems apparent that Casey once had another caring home. She was already spayed when found, her coat was healthy under the grime, and her teeth were in good shape for those of an older dog. We don't know her original name or her history, but it seems that, unbelievably, someone let her go. The vet said that dog abandonments have been on the rise in recent years as people lose their homes and can't, or won't, take their pets with them when they move. 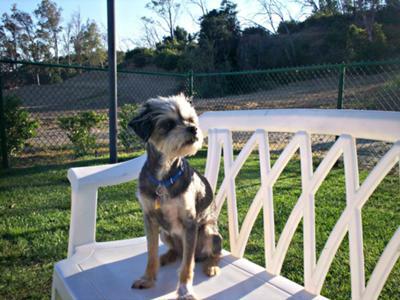 To me, pets are family members, the same as everyone else in the home, and I am so glad to be able to restore this little one's sense of home and security. Casey and I are now a team. We even look a lot alike! We both have many great years ahead of us, and we are together for the long haul. Please, please adopt shelter dogs. They are loving creatures who deserve the care and safety they once were promised but, for whatever reason and through no fault of their own, somehow lost. She is beauty. And you have a heart of gold to rescue her. 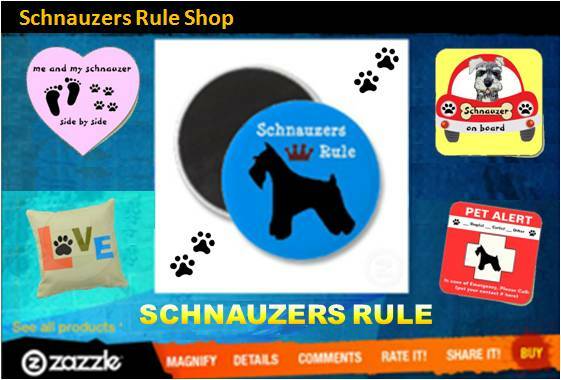 Thank you from every Schnauzer lover. Oh what a wonderful person you are and you have found such a wonderful friend. The words thank you are not enough for rescuing her! Bless you!